Where to begin? Myzithra, a cheese similar to ricotta, which has a light, moist consistency is a favorite at this time of year and used to make many wonderful types of cheese pies, including being used as a topping for the traditional Cretan “Dako”. 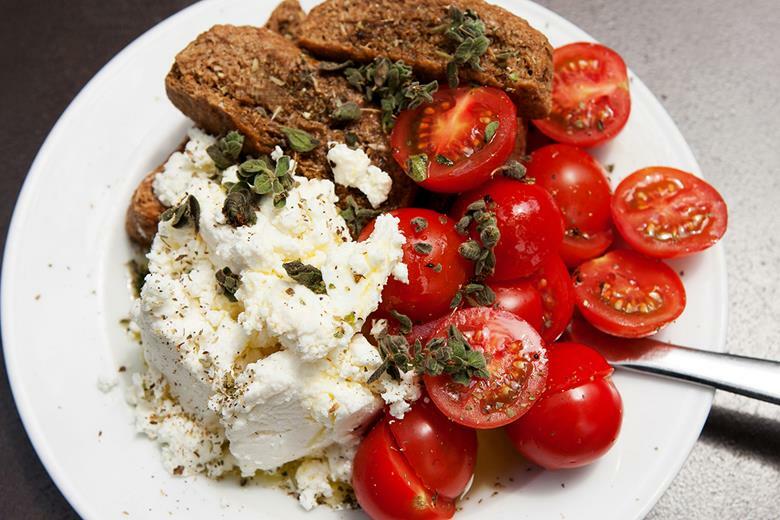 This is a rye rusk topped with freshly grated tomato, drizzled with oregano and olive oil and topped with Myzithra, a heavenly texture. 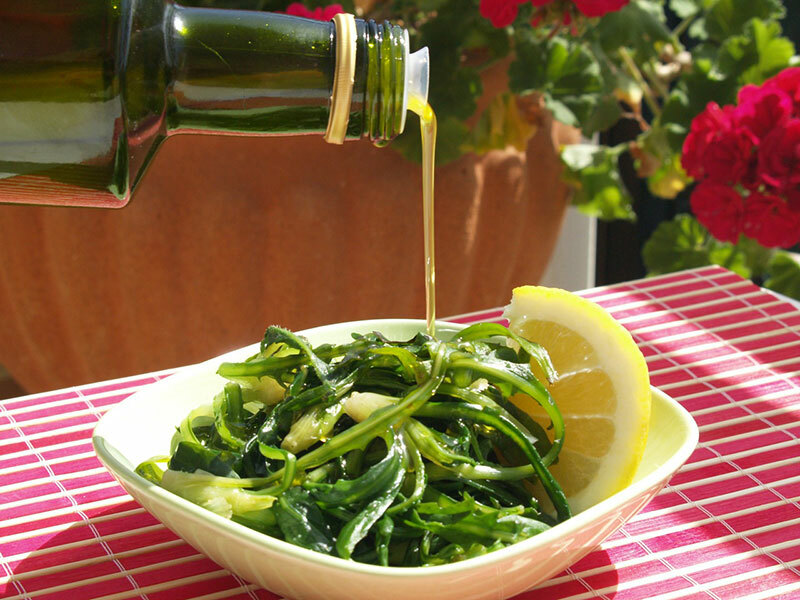 From the mountains, “Horta” are favorite of the locals which are wild greens picked in the fields, packed with nutrients and antioxidant properties. It is no wonder that Cretans in particular have the longest life expectancy in Europe! Cretans enjoy simple and clean tastes, such as that of lamb seasoned only with lemon, thyme and rosemary. Without fail we also have to mention Cretan olives and olive oil as being of the best quality in Greece and Europe. To top it all off apart from the incredibly wholesome vegetables grown on the island including tomatoes, artichokes and more, a sure favorite is stuffed vine leaves with rice and other aromatic herbs. 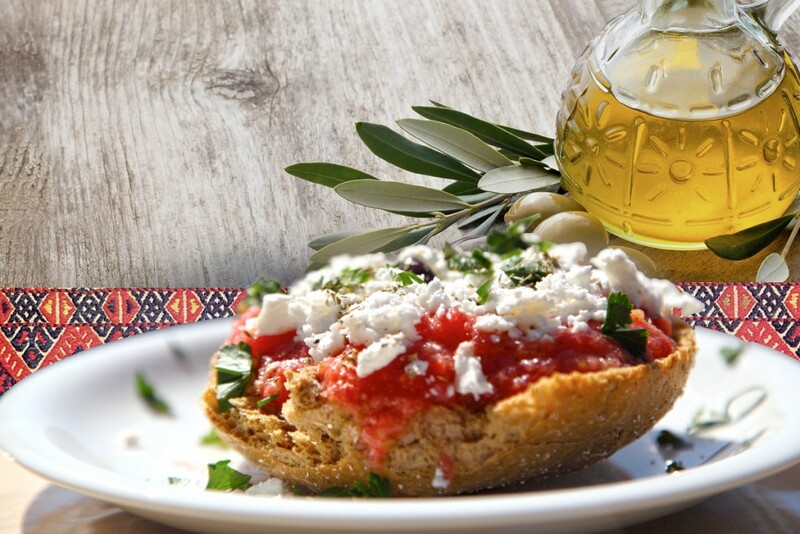 To sit at a Cretan table this Easter and any time of the year one can be guaranteed to enjoy one of the best meals they have had abroad!